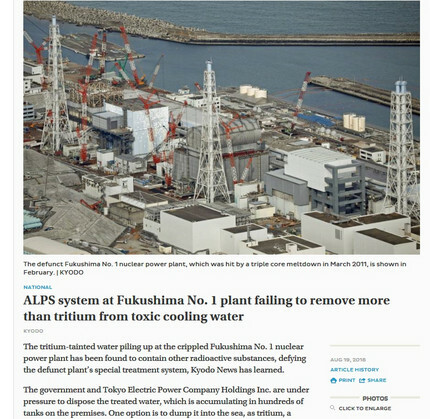 ・　The tritium-tainted water piling up at the crippled Fukushima No. 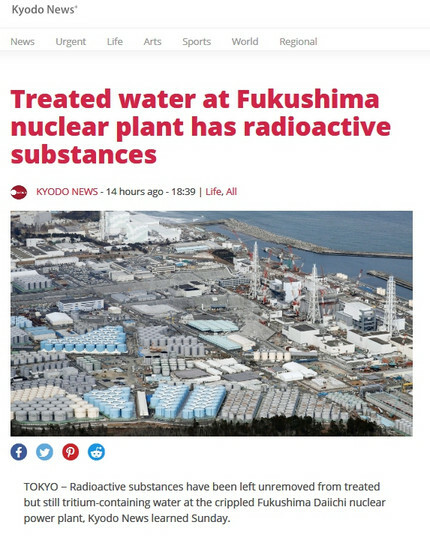 1 nuclear power plant has been found to contain other radioactive substances, defying the defunct plant’s special treatment system, Kyodo News has learned. 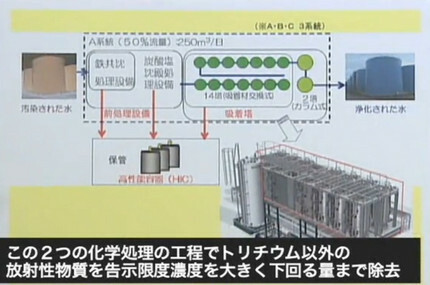 ・　According to Tepco, a maximum of 62.2 becquerels per liter of iodine 129, far higher than the 9 becquerel legal limit, was found in the water filtered by the Advanced Liquid Processing System, which was reportedly capable of removing everything but tritium. 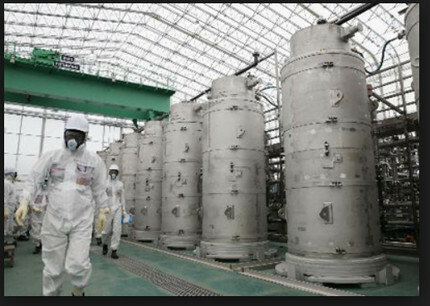 Iodine 129 has a half-life of 15.7 million years. 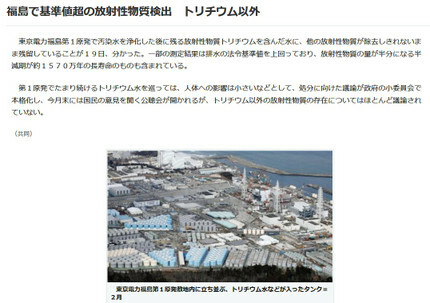 Tepco, which gathered data in fiscal 2017 through March, also detected a maximum 92.5 becquerels of ruthenium 106, shy of the 100 becquerel legal limit, as well as 59 becquerels of technetium 99 against the limit of 1,000 becquerels.